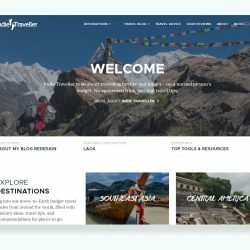 by Patrick Tomlin | Traveling Central and South America for 5 months. 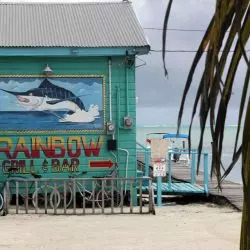 Caye Caulker is a small island just off the coast of Belize, a popular US holiday destination and backpacker spot on the Central America gringo trail. It’s one of the more expensive stops along the Central American backpacker route, but a visit to Caye Caulker is well worth it! 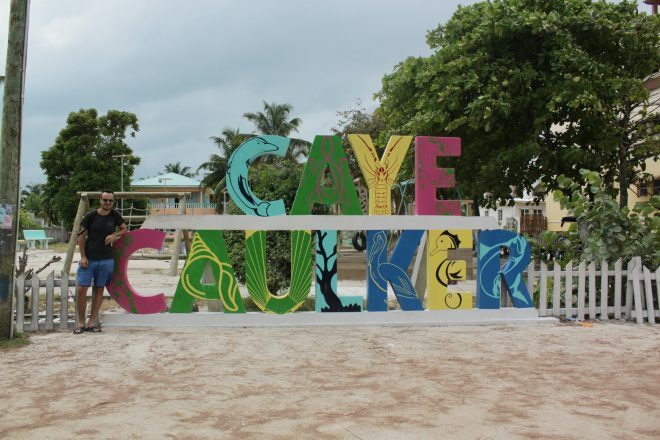 And if you’re traveling on a tight budget, you’ll find some great budget travel tips for Caye Caulker in this guide. A diver’s paradise waits you at Caye Caulker. Whether you are a dive master or taking your first dip, there is something for everyone here! You can explore the famous depths of the Blue Hole or the Caye Caulker reef, which claims to be the second most beautiful reef in the world (after the Great Barrier Reef, in Australia). Also, it’s one of the only reefs in the world that is actually expanding rather than dying! 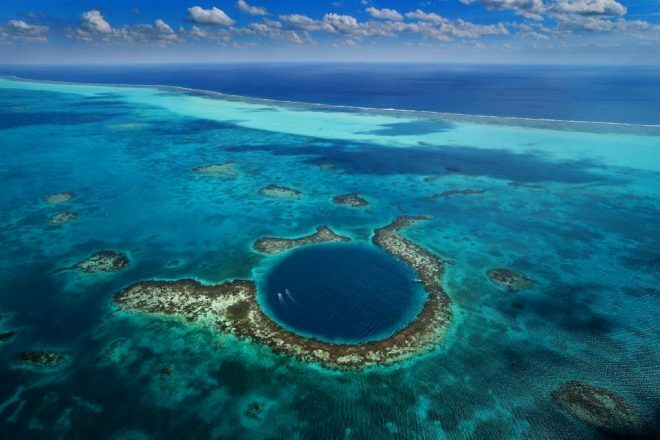 The Great Blue hole is a giant marine sinkhole off the coast of Caye Caulker which forms part of the Belize Barrier Reef reserve system and is a UNESCO world heritage site. If diving isn’t your cup of tea, I would strongly recommend going on a full day or half day snorkelling trip. Most companies I enquired offered a very similar price: 130 Belize Dollars for the full day and 70 Belize. But you can take about 10 to 20 Belize dollars off each if you’re willing to work a little for it. Beware some of the companies do feed the nursing sharks and the sting rays, so be sure to ask each company if they do or don’t. The eco-friendly tours often state on the sign outside the shop front that they don’t feed sharks! I, stupidly, didn’t know about this and the sharks are so accustomed to being fed that they all swim over when they hear the boat’s engines. 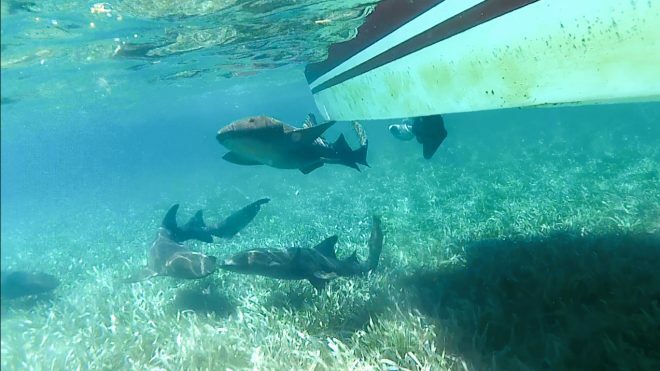 It was quite cool to see all the sharks swimming over to the boat, but I don’t think we should be feeding wild animals. If you prefer to stay above the water, Contour Ocean Ventures might be the place for you. 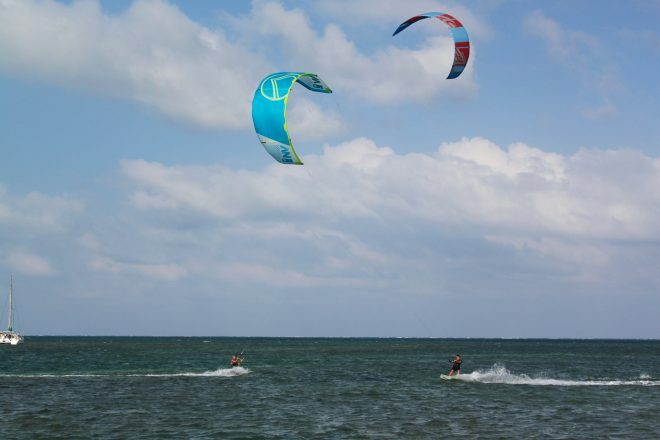 They hire out surfing, windsurfing, and paddle boarding equipment. 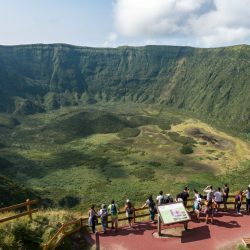 They also offer refresher courses, lessons, and guided tours. The prices may be a bit of a stretch for the average backpacker as far as surfing goes. 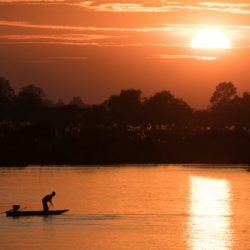 However, taking a paddleboard out for an hour is very feasible at 25 Belize Dollars and all rentals come with a quick lesson to make sure you are comfortable with the equipment. After a long day’s dive — or maybe a heavy evening drinking — there is a place in the centre of town called Café Namaste which offers free yoga classes for all. They only invite you to give a donation at the end of the class; even a couple of Belize Dollars is very welcome. Classes are run by Jessie Wigh, a US certified yoga instructor who offers the free classes because she believes yoga should be accessible for all. The rooftop location of Café Namaste also offers glorious panoramic views of the island. Another donation-based attraction you must visit is the Caye Caulker Animal Shelter. 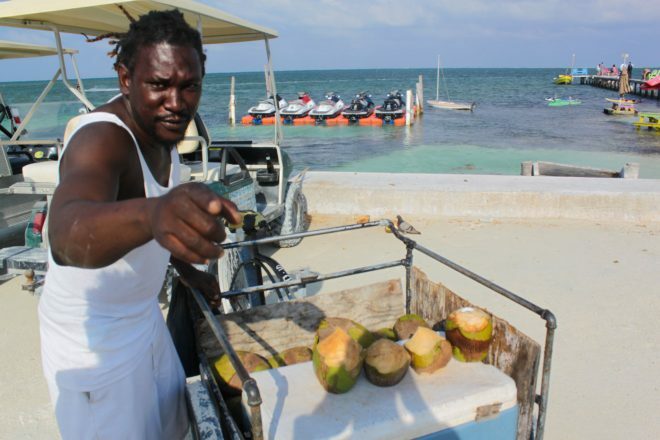 The shelter is run by a guy named Kenny, who is a bit of a local legend on the Caye. I’m not usually one for cute animals, but the quadruplet puppy dogs had my full attention for almost half an hour. This place will be any animal lovers dream and I strongly recommend a donation, however small or large it may be, as Kenny looks after all the animals out of his own pocket. They also offer bicycle rental and bicycle repair! The Split is where everyone hangs out during the day and the early hours of the evening. There is a diving platform, a bar/restaurant, and a swimming area with easy access into the water and a waterside bar. Drinks are reasonably priced if you’re there for the happy hour, times for which seem to vary depending on the day of the week. 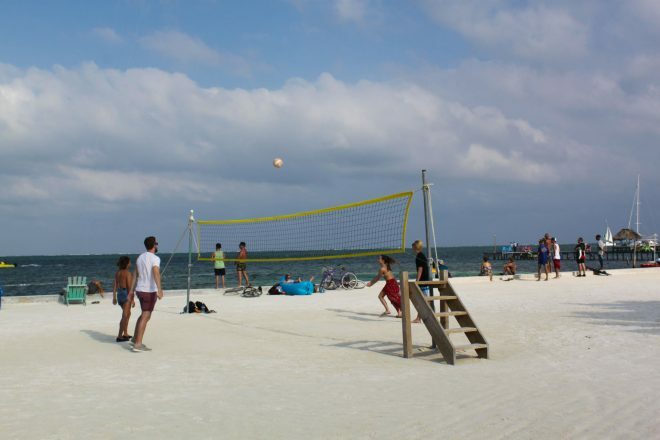 There are also free activities, such as a volleyball court, horseshoe throwing, and bean bag throwing courts. If all of that wasn’t enough and you need further relaxation, look no further than a waterfront massage. Prices range between 20-60 Belize Dollars, depending on the treatment you’re after. Clean, social, basic, good value, wifi, and free bottled water. I walked down to this hostel as a friend had left a book there a few weeks prior to me being there. It looks lush and has kayaks you can take out onto the water. My favourite way to wind down after an action-packed day is to eat all the mouth-watering food Caye Caulker has to offer. I did scout around the entire island to find the best deals, so you don’t have to. Food on the island can be really expensive and you can quickly spend too much Dinero if you’re not careful. I found that on Caye Caulker, prices are rarely written on signs outside shop fronts so it can be hard to gauge what anything costs. The cheapest eats are always the street food. The best bang for your buck I could find is the taco stand right next to the basketball court. This place is open until about 9am — don’t ask me how I know that. Tacos are 1 Belize dollar, but you may need a few to fill up. Second best value for money would have to be Stuff Fried Jack, located right next to Bella’s Hostel. 4 Belize Dollars can get you either bread or a tortilla with any of the following two options: chicken, cheese, veg or beans. Another good find is the blue burrito stand on the main road just before the turnoff to Tropical Oasis Hostel and Go Slow Hostel. It is called La Vida Es Bella and for Belize dollars you will get a good sized burrito with either chicken or beef; I didn’t see any vegetarian option. Already had your fill of tacos and the burritos when travelling in Mexico and want to try something different? Then try some of the pricier Belize food — here were some of my favourites. Wish Willy offer a two-course meal for around 20 to 30 Belize dollars, depending on your options. The food is fresh and cooked to order. They also make do the best cocktails the island has to offer. 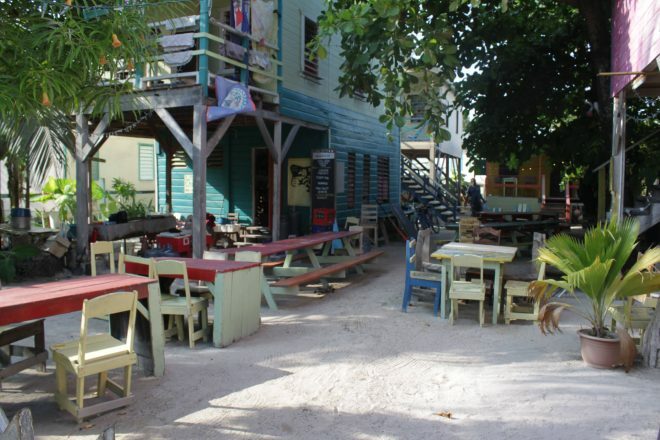 Wish Willy is located on the road next to the playground by the Caye Caulker sign. Chef Kareems Unbelizable Lunch — I’m glad somebody else used that pun, so I didn’t have to. Chef Kareems do the best jerk chicken and rice I have ever had in my life for a fairly priced 12 Belize dollars. When I was handed the food in a Styrofoam container I thought the price was a bit much, but it was worth every penny. Right next door at the Go Slow Grill, they offer honey glazed BBQ chicken, pork chops, garlic butter shrimp, grilled fish, and whole lobster. I tried the grilled fish but at a whopping 40 Belize dollars, this may be one to skip. I’m also pretty sure I paid the tourist price and he wouldn’t budge on that price at all. Although the food was great, this may be one to skip over. 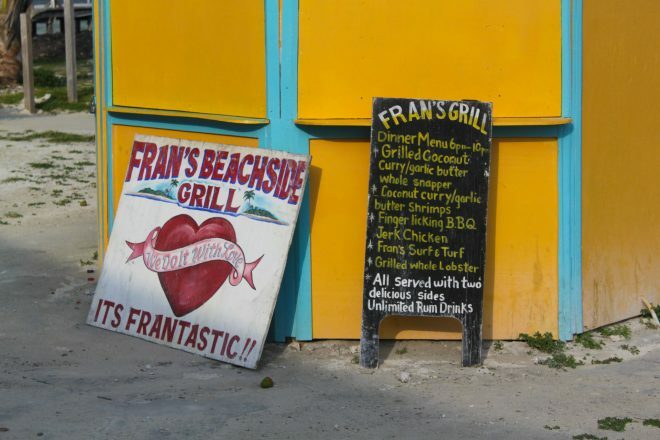 The best food I had while on the island had to be Fran’s Beachside Grill! 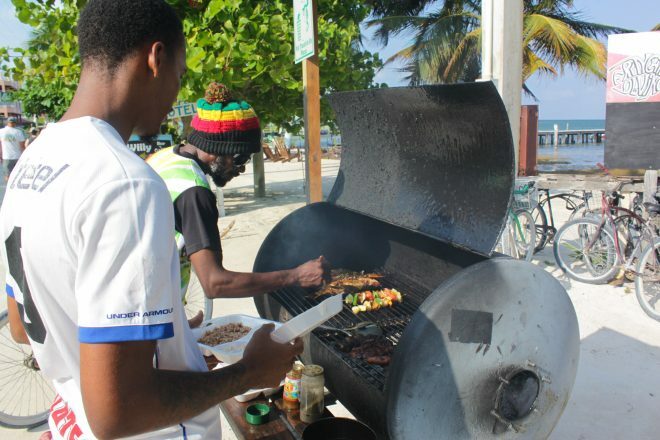 25 Belize Dollars will get your choice of coconut curry, grilled jerk chicken, a surf and turf or lobster with unlimited Rum! The food takes a lifetime to come, so make use of that free rum. 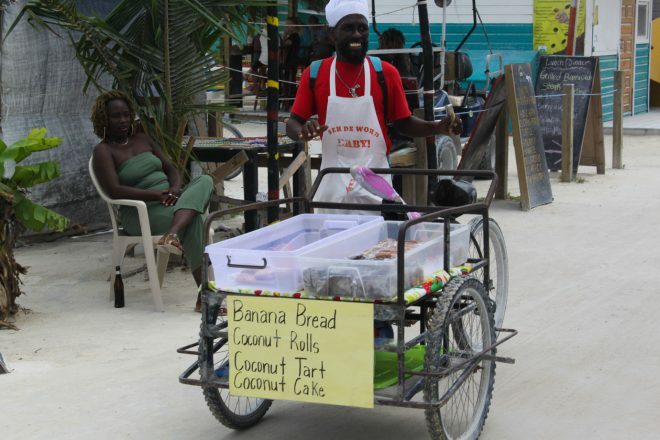 You also kind of have to pester the owner to give you rum, but it was my favourite food I had in Caye Caulker. 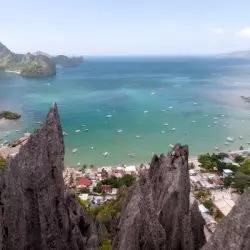 If I return to the island, this will surely be the first place I will go back to. If you want to save money and drink in the hostels, beers in the shops cost 3.50 Belize Dollars each and there are no multipacks or deals. All the grocery stores on the island are also owned by the same company, so there really is no point shopping around. The cheapest way to drink on the island is to go to the gas station close to the docks and buy a whole case of 24 beers for 66 Belize Dollars. You can also get 11 Belize dollars back if you return all 24 bottles. This is also the only place I could find that actually gives deposits back for the bottles. If you don’t fancy drinking 24 beers, you could always get people from the hostel to chip in, which is also a great way to meet more people! Sports Bar is where locals and travellers alike go to party the evenings away. You can also watch sports there during the day and they are very accommodating and will try to find what you want to watch on the four screens they have in the bar. They also have much more reasonable prices during happy hour 3-6pm — a draft beer being 4 Belize and a bottle 5. 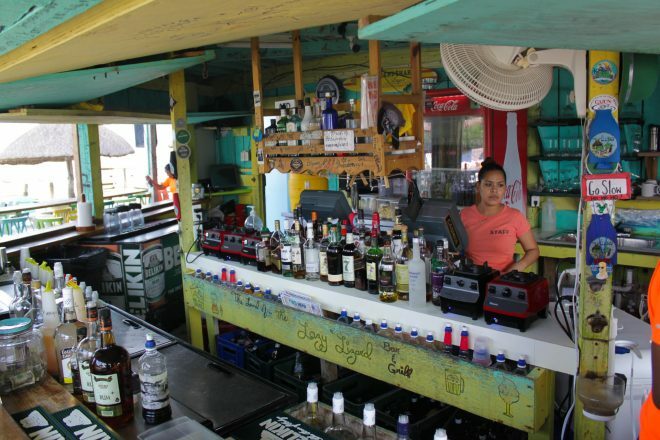 The only late night bar on the island is the Reggae Bar, it can be pretty pricey on a backpacker budget, but by that time in the night, wise decisions often go out of the window. 1 US Dollar equals 2 Belize Dollars. You can use both currencies all over the island of Caye Caulker. You can even ask for your change to be given in either currency, which is handy when you first arrive or are just leaving. There is a cash machine on the island and I could only find one. I used my English debit card as the machine didn’t mention any fees, but when I checked my online banking I was charged £8 for the one use. I would strongly recommend using a travel card that you can top up, like Revolut. This is a free card and I wasn’t charged any fees using this card. There are many travel cards available, so find the one that suits your needs before you set off. The three main ways to get to the island of Caye Caulker are via ferry, either from Chetumal in Mexico, or San Pedro & Belize City, in Belize. The Ferry Schedule can be found on the Belize Water Taxi website or the Ocean Ferry Belize website. There are two companies that run ferries, and they seem to only operate on alternate days. I would advise not to book online as, weirdly, it is more expensive than turning up and paying cash. The price to Belize City & San Pedro is $11 USD and the price to Chetumal is $40 USD. The prices on the site are all higher. 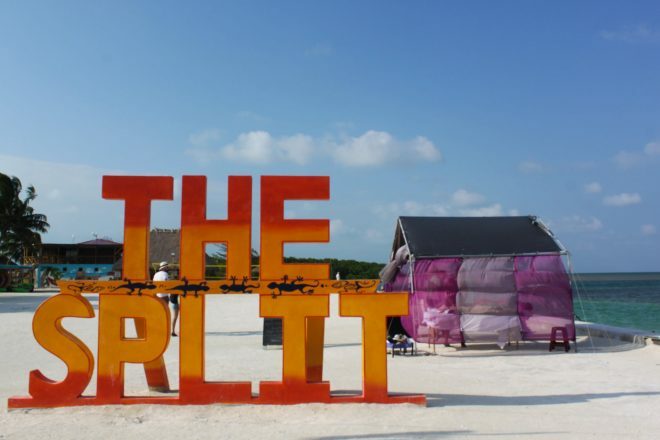 If you are planning on going from Chetumal, in Mexico, like I did, I would advise buying your ticket as soon as the ticket office opens early in the morning. It’s advertised as 8am, but no one was there until 9am. As there is only one boat a day, it can very quickly sell out. When going to book your ticket from Chetumal, you will need your passport with you at the time of purchasing the ticket, and at customs which will be in San Pedro. 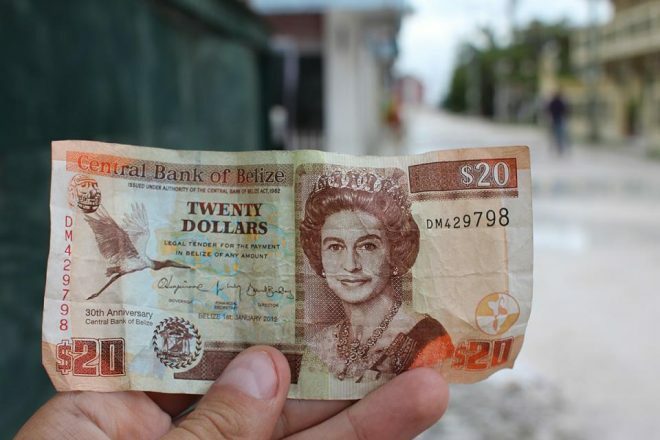 You will need to have $2.50 USD to enter Belize and pay $20 when you exit the country, you can pay in Belize or US Dollars. Belize would be 5 to enter and 40 to exit. As there are a lot more ferries a day from San Pedro and Belize City, you can pretty much just turn up fifteen to twenty minutes before departure time and buy a ticket. When the time comes to think about leaving the beautiful island of Caye Caulker, there are lots of companies that do offer bulk packages that include the ferry off the island, and your continuing bus journey. They offer a variety of locations, but you only save a dollar or two. I would recommend not signing up for this, as once in Belize city you can haggle pretty well with the guys selling bus tickets. 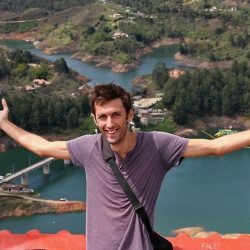 I managed to get a bus from Belize City to Flores in Guatemala down from twenty five USD to eighteen USD.